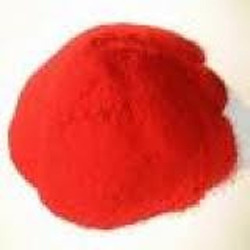 We are a leading Exporter of lake allura red and direct red dyes from Mumbai, India. Available under choices of 3 grades comprising Dye Content: 11% -20%, Dye Content: 21% -30% and Dye Content: 31% - 40%, Lake Allura Red offered is from the family of direct dye and is suitable to be used on fibers like rayon, silk, and wool. Featuring excellent light fastness, these are used for gaining bright shades on fabric. Here, our expertise lies in making it available in both standard and customized packaging choice as per the preference provided by customers. Coming with purity of 100%, Direct Red Dyes offered are part of Direct Dye being used in the industry and finds use in industry sectors like Textile, Leather, Paper dyeing and others. Made available to customers in minimum order quantities of 500 Kilogram, the dye can be offered in standard and customized packaging support as preferred by the customers. Further, its ready availability also allows us to meet the urgent order requirements of customers.